An accelerated mortgage can help you take full ownership of your home sooner. An accelerated mortgage is usually achieved by splitting the usual monthly mortgage amount in half and sending payment to the lender every other week, although some people choose to break the monthly payment into fourths and send a weekly payment. As an example, if you take out a $100,000, 30-year mortgage with a 5 percent interest rate, your monthly payment is $536.82 and your biweekly accelerated amount is $268.41. So instead of 12 payments each year, you make 26 half-payments, equaling 13 whole payments. This one extra payment is all you need to painlessly pay off your loan quicker and save thousands of dollars in interest. The term "amortization" refers to the amount of time it takes for you to repay your mortgage. With an accelerated mortgage, you can pay off the loan years before the usual 30-year amortization date. The exact amount of time you can shave off depends on your original loan term and interest rate, but the higher your interest, the shorter your new loan term. For example, that $100,000, 30-year mortgage at 5 percent interest will be paid off in a little over 25 years with biweekly payments. At 6.5 percent interest, the mortgage will be paid off in a little over 24 years. Because the bank charges interest on the principal balance each month, accelerating your mortgage and paying it off earlier means you pay less in interest over the life of the loan. Continuing with the example of a $100,000 mortgage at 5 percent interest, you'll pay $93,256 in interest with a standard payment schedule. With an accelerated mortgage, your interest payments equal $76,572, a savings of $16,685. Accelerated mortgage payments allow you to pay off your loan early without having to increase your mortgage payment, making them workable on your current budget. Third-party marketing companies might offer to set up mortgage acceleration programs for you and to process your payments and send them to your lender in exchange for hefty setup and monthly fees. You don't have to go this route, and you won't have any additional expenses if you simply send the payments yourself. The way mortgages are designed, each payment is dedicated mostly to interest at the beginning of the loan and mostly principal at the end of the loan. For instance, the first monthly payment of $536.82 on a 30-year, $100,000 loan at 5 percent consists of $416.67 toward interest and only $120.15 toward principal. The final $536.82 payment on the same loan is $534.59 principal and $2.23 interest. This means you don't really begin accruing substantial equity in the property until some years have passed. Under an accelerated mortgage schedule, the extra payments are applied directly to the principal, speeding up the equity-building process. 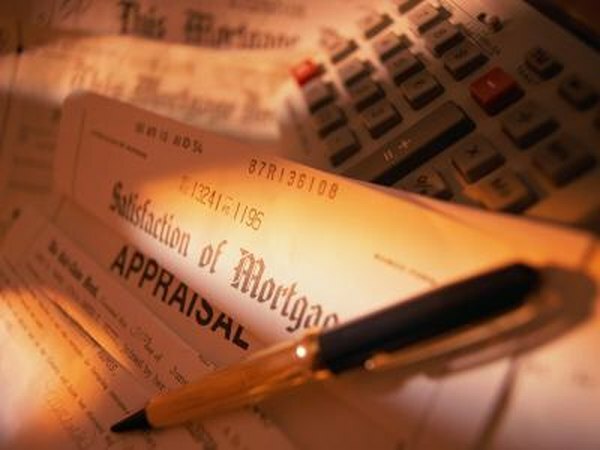 Accelerated mortgage payments are often made weekly or biweekly, which corresponds with most paycheck schedules. This makes it easy to budget for your accelerated mortgage payments as well as your other bills. Once your mortgage is paid off, you can continue to place the same amount you paid for your mortgage into an interest-bearing bank account, certificate of deposit, government bonds or other safe investment, seamlessly changing the same payment from an expense to an asset. You also have the flexibility of skipping one or two accelerated payments if money gets tight or needs to be used for something else, and you can always contribute more when you receive your tax return or other windfall. American Public Media: How About a Bi-weekly Mortgage Payment? Bankrate: Do You Really Want to Pay Your Mortgage Biweekly?